Amazon is said to be interested in beating grocery stores at their own game by opening 3,000 more of its cashier-less Amazon Go shops over the next three years, reports Bloomberg. That could see it go up against major chains like 7-Eleven, Subway, and Pret a Manger – with the added advantage of zero checkout lines. To recap, shoppers at Amazon Go simply scan their phones loaded with the necessary companion app when they enter, and then grab the items they want, and leave. Smart sensors and computer vision tech help track what each person has picked up. They’re billed automatically through their Amazon accounts, and they don’t need to wait in line to pay for their purchases. 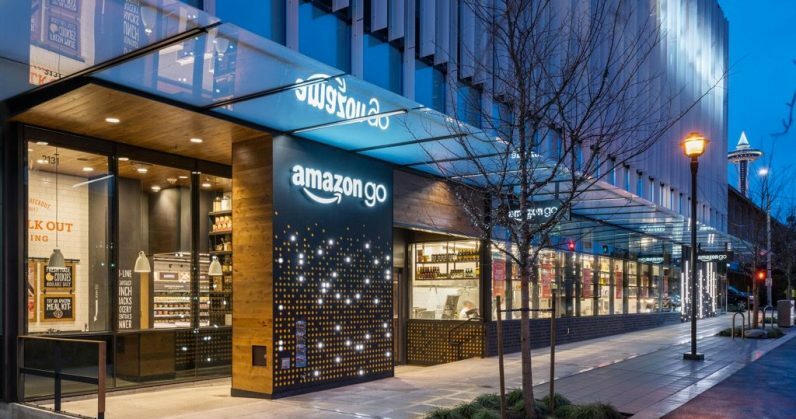 The ecommerce giant revealed plans (and a trial store) for its futuristic stores back in 2016, and opened the first Amazon Go location to the public in Seattle this January. It’s added two more stores in the city, as well as one in Chicago just this month. There are plans to open six more by the end of the year, and up to 50 stores in 2019. At present, the two older locations have salads, sandwiches, snacks, and a small range of groceries; the newer ones don’t offer groceries at present. The idea is to open up stores in dense urban areas with large populations of young, well-to-do folks who are happy to pay a premium for high-quality meals on the go. If Amazon‘s plans pan out, it could eventually become one of the largest chains in the US. For reference, there are about 155,000 convenience stores across the country, and about 80 percent of those are combined with gas stations. It might also face competition from Walmart, which has reportedly been working on a similar concept for a while now. Plus, Microsoft is building tech for cashier-less stores which it might eventually license to retailers. So it’ll be interesting to see if this shapes the future of shopping at physical locations.